Get creative and make an Easter Bunny hat using a mixture of craft materials and natural objects from the landscape. 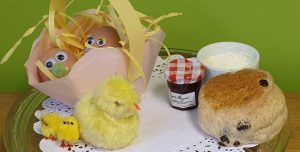 Saturday 20th April 2019 Drop-in Easter craft activity in the Abercorn Room. Timings: 11am - 2pm Price: General admission applies. Suggested donation of £1 per child towards materials.